Sitemaps, meta tags, keyword density, backlinks, anchor text … ominous terms that make SEO sound like rocket science. But it’s not. Don’t get me wrong … achieving top SEO ranking on Google (and staying there a while) can be a challenge if you’re trying to rank for highly competitive search terms. But for many small businesses (yeah, I’m talking to you Sage VARs), SEO doesn’t have to be a daunting task. Here are 3 top SEO tips and tactics that will get you closer to page 1 ranking on Google. The “Page Title” of a web page is the Blue underlined text that appears in the Google search results page. It’s also the text that appears in the frame or tab of your internet browser (see image below). What too many small businesses DON’T realize is that page titles are highly visible to Google and can have a significant impact on your search rankings (among other factors, of course). So be sure to include the most important keywords in your page titles (again, refer to the image above which reads “Sage MAS 90 ERP Software – Information, Demo, etc …”). 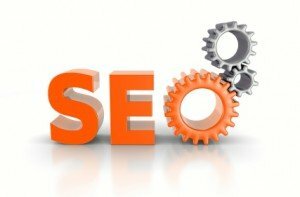 It’s also important to note that each page on your website should have a unique page title and corresponding set of keywords. Ideally, the keywords in the URL correspond with some of the top keywords you’ve included in your Page Title. You aren’t likely to dethrone Sage or Microsoft from the top spots. You’ll be competing with FindAccountingSoftware.com and other companies that make it their business to rank well and sell the leads they generate. You’ll also be competing with National VARs that really know SEO well, have in-house resources, and are continually tweaking and optimizing their websites. You’ll get more relevant and targeted traffic to your website, fewer inquiries from current Sage end users looking for free advice in a part of the country that you don’t serve, and there’s far less keyword competition which makes it easier and faster to get to page 1 on Google and stay there. Therefore, Tip #3 means is that your page titles and URLs (among other tactics) should include a combination of your keywords AND the markets or geography that you serve. Many of the most important SEO tactics are easier to implement that you might think. For small businesses that have done very little to optimize their websites, the 3 SEO tips above should have significant impact on your search results.